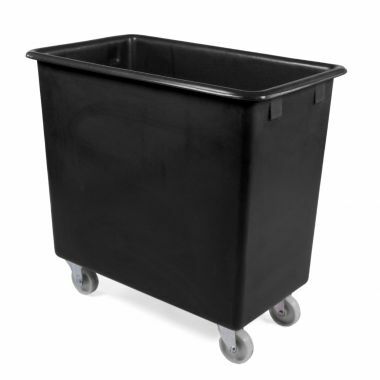 G Force manufacture a range of industrial quality recycled plastic trucks produced from recycled polyethylene. 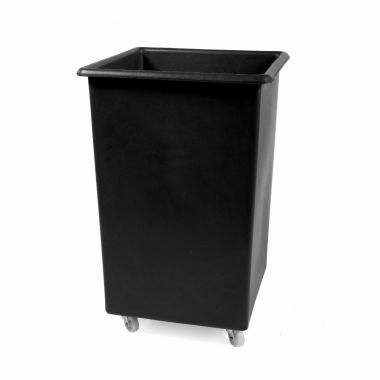 This range of premium mobile containers includes six sizes of mobile tapered trucks and wheeled plastic containers. We produce our recycled plastic trucks using a rotational moulding process that meets ISO9001 standards and is as an affordable alternative to our premium food grade mobile container trucks. 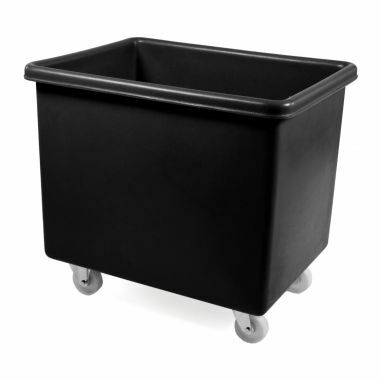 The recycled plastic container trucks are available in a range of colours and can be supplied with an optional plastic drop-on lid. A plastic handle is available for the 5 largest sizes if required; and the 3 largest sizes in the range are also supplied as standard with a plywood baseboard. 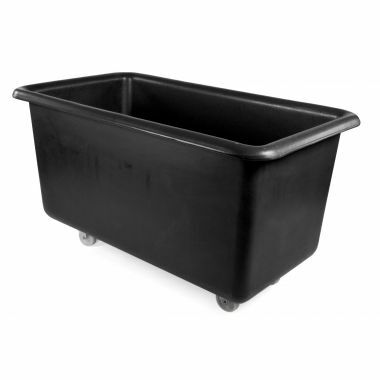 The recycled plastic container trucks are well suited for use within demanding industrial environments, for non-food related applications. The products are easy to clean and maintain due to a seamless construction and lack of internal dirt traps. The larger of the range incorporate plywood baseboards to assist with heavier loads by increasing their structural strength, this baseboard can be upgraded to a plastic option on request. 1. 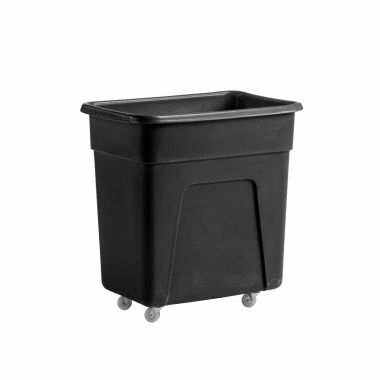 As these plastic container trucks are manufactured from recycled plastic materials they prove to be a more cost effective alternative to our range of food grade plastic trucks. Exhibiting all of the same characteristics as their food grade equivalents the Eco plastic trucks prove to be just as structurally strong, durable and tough, resistant to denting and breaking and also seamless and watertight in construction. 2. 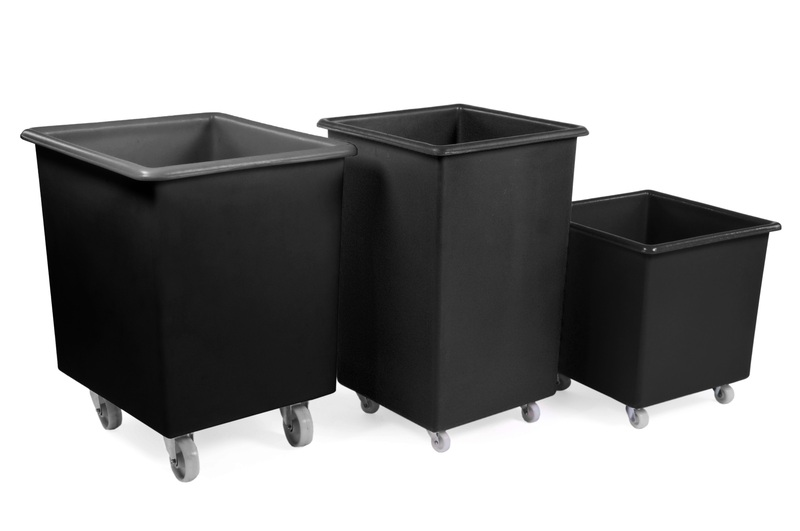 Ideal for waste management and for the collection of recycling the recycled plastic trucks are perfect for non-food contact applications. 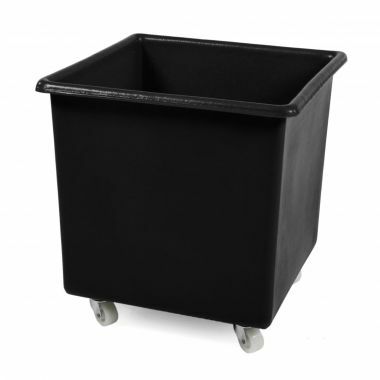 Used throughout retail distribution, textiles, engineering and general manufacturing they offer a highly manoeuvrable and robust storage and materials handling solution for many applications. 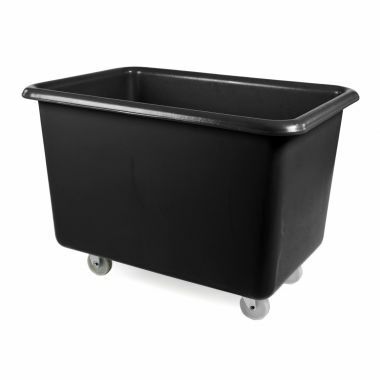 Available with or without a heavy duty plastic handle the tapered trucks can be handled with ease and the handle negates the need for the operator to stoop or bend whilst using the mobile container truck. 3. 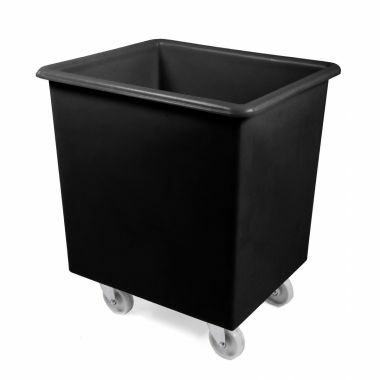 The Eco plastic trucks are ideal for a wealth of different industries and to assist with storage and handling applications there are several optional extras available. 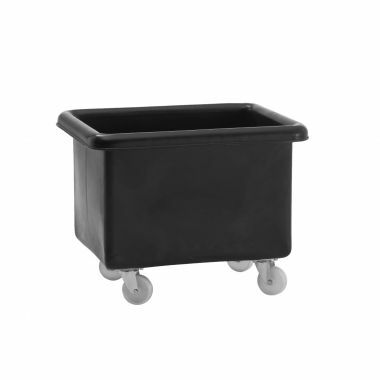 Different configurations of castors, optional drop-on lids, plastic handles, drainage taps and bungs can also be supplied on request.